The blog statistics so far show that the posting “Always Speak the Truth” has had the highest number of viewers, since 27 January 2012, when it was posted. In this post Bhagawan mainly spoke about the importance of speaking the Truth. He explained how Truth is the life for our spoken word. He described the code to be followed while talking. Satyam Bruyaat - Speak the Truth. Priyam Bruyaat – speak in a pleasing way. Na Bruyaat Satyam Apriyam – (but) never speak the truth in an unpalatable way. The post concluded with Bhagawan explaining how easy it is to speak the Truth rather than speaking lies. As the audience seem to find this aspect of Bhagawan’s message very interesting, here is one more posting on the same theme. Whereas the earlier posting furnished the theory about speaking the Truth, in this posting, Bhagawan illustrates the concept with case studies from Bharateeya scriptures. 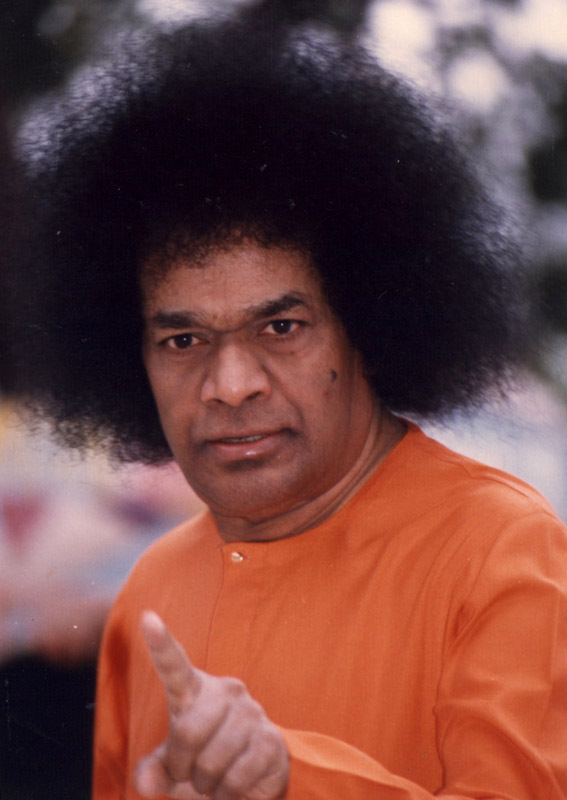 There are five excerpts from Bhagawan’s Discourses presented in this post. These have been selected from Discourses given by Bhagawan Baba in the years 1996 and 2003. In Clip-1, Bhagawan once again explains how speaking the Truth is very straightforward and easy while telling a lie involves a lot of manipulation. 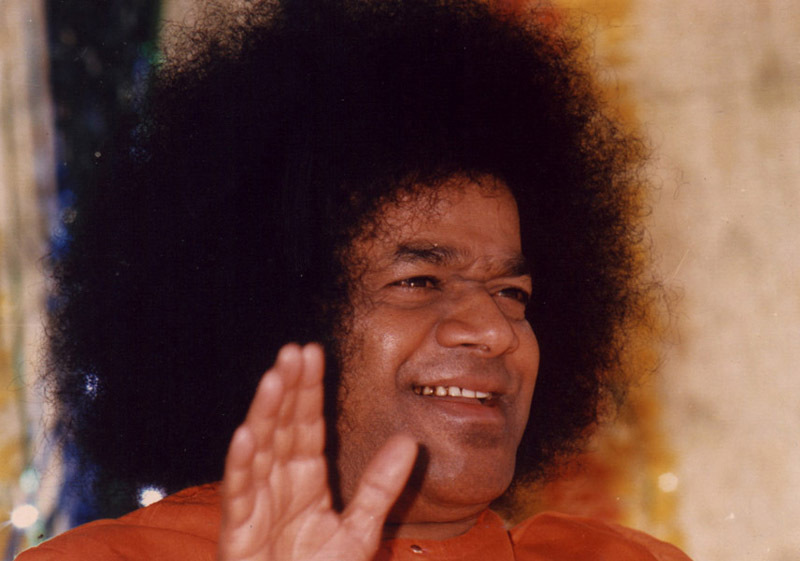 In Clip-2, Bhagawan gives the example of the King Satya Harischandra who went to the extent of giving up his life for the sake of upholding Truth. Clip-3 describes how Mahatma Gandhi, owing to one significant incident in his childhood and inspired by his mother, took a vow never to speak a lie; a vow that he kept up till the end of his life. Clip-4 narrates the story of King Bali Chakravarti, who stands as a role model for the quality of keeping up one’s word. Even at the cost of giving up his life, King Bali kept up his word. Finally, in Clip-5 Bhagawan praises Hanuman and presents him as a model to all of us for following a dignified and respectful mode of speech. Each audio clip has a name that adopts the following code: Serial number, Title appropriate to the key content, Duration of the clip in minutes, Year-Month-Date of the Clip. Below the title is the translation in English of the select excerpt of the Discourse, followed by the audio player. The post ends with a short quiz that would help you evaluate your absorption of Bhagawan's Message from these extracts. Speaking the Truth is so easy! A boy said in his talk, Satyam Vada, Dharmam Chara – Speak the truth and Follow righteousness. He said, this is not easy, it is very difficult. This is wrong. There is nothing easier than speaking the truth and practising Dharma. It is truthful to say that today Swami came early at 4 pm and He started His Discourse before time. It is so easy to state facts as they are. You do not need to think over or have any worry. But if you wish to speak a lie, you have to think a lot. You have to package the lie in a manner that it will be believed. You have to use a lot of knack in speaking and finally you will become a crack! Therefore, it is so difficult to speak a lie. Speaking the Truth is so easy. We think it is difficult to speak the truth. This is very wrong. We have got used to speaking lies. Because of this we are unable to understand the truth. The world is also giving scope to such weaknesses. This weakness is present in every man. Rama is the very embodiment of Truth. But we utter all lies. We perform the Satyanarayana Vratam (a Hindu religious observance) once a year; that is all. That is not right. Satatam Satyam. We must speak the truth always. Sarvada Sarvakaleshu Sarvatra Harichintanam. We must think of God always, at all times and everywhere. We must at least make an effort to speak the truth. But we are not doing that. The moment we open our mouth, it is lies. Whatever we say, it is lies. It is not even possible to know what truth is. Therefore students; do not give up truth under any circumstances, even if it comes to losing your very life. It is truth that will be with you, around you, front of you, behind you and will protect you like the eyelid of the eye. This is how Harischandra got transformed into Satya Harischandra. He was faced with so many difficulties and pains. He sold his wife and children, he sacrificed his kingdom, and finally became a cemetery worker. But he did not get shaken and he never gave up the truth. Finally, God Himself had to submit to him. God manifested before him, gave him back everything that he had lost and honoured him with the tile “Satya Harischandra” (The Truthful Harischandra). A vow that he kept up till the end of his life! Gandhi too became Mahatma Gandhi because of the great qualities of Putlibai (his mother). Putlibai had taken a vow wherein she would not partake food or water, not even take a morsel of food until she heard the sound of the cuckoo bird in the morning. It was not possible for the son to have his food until his mother had her food. On one occasion, it became 12 noon, 1 pm and even 3 pm in the afternoon, but the mother was not willing to take her food (as she had not heard the cuckoo’s sound). At that time, Gandhi planned a strategy. He went behind his house and made a sound like the cuckoo bird. He then came in and told his mother that he had heard the cuckoo bird sing, though she could not hear, and therefore they could have their food now. The mother felt very sad. She thought to herself, “Has such an evil son been born to me from my womb? Just for the sake of food, he is betraying me by speaking lies. Making the sound of the cuckoo himself, he is lying to me that he heard the cuckoo sing”. Out of anger she caught his ears and dragged him. “Bad boy, for the sake of my food, are you speaking lies in this manner”, saying so, she slapped him. Gandhi felt very repentant and begged her for pardon. The mother said that it was not possible for her to pardon him and he must undergo the punishment for his mistake. It was from that moment that Gandhi promised that he would never utter a lie and he kept up his promise till the end of his life. We must have a very good speech in society. Only then we will win the faith of all. When it comes to the matter of truth, we can even disobey our Guru (teacher). Guru Shukracharya advised king Bali that Vamana was not an ordinary man. 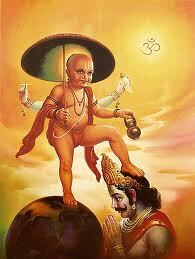 He may have come as a three feet tall dwarf but he is verily Lord Narayana Himself. If you agree to give him anything you will become a beggar. King Bali replied, “Swami, when God Himself has come asking, can I ever refrain from giving? I will give, even if I may be put into any situation. God’s hands are below and mine are above. The one who receives, his hands are always below. This itself is my good luck. It is not an ordinary person who is seeking alms from me. It is Lord Narayana Himself. Can there be any other greater fortune than this? To avail this good fortune, I am ready to forego anything. The true respect lies in keeping up ones word”. The Peaceful, Virtuous, Strong, Respectful and Dignified Hanuman! If you slip, you can retrace your leg and get up. But a slip of the tongue cannot be taken back. Kaalujarithe Kalagadu Nashtam, Naalagu Jarite Narakamera (A Telugu saying). If you slip (physically), there is no loss, but a slip of the tongue takes you to hell. Students, considering your words as your very life, when you talk to elders, your parents, your friends and other respectful people; you must speak the truth in a respectful and meaningful way. 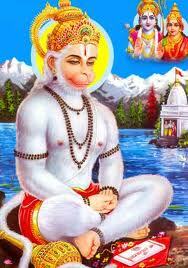 Hanuman being the minister of Sugriva, seeking the permission of Sugriva, came to speak to Rama and Lakshmana. Listening to the sweet words of Hanuman, Rama was very delighted. Brother Lakshmana, he is Shantudu (peaceful), Gunavuntudu (virtuous), Balavantudu (strong), Hanumantudu. Peace is verily manifest in his face. His respect and dignity speaks of his qualities. 01-Why is it easier to speak the Truth than to speak a lie? 02-Why did God Himself honour king Harischandra with the title “Satya Harischandra” (The Truthful Harischandra)? 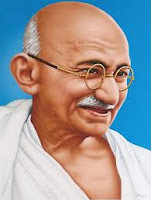 03-What prompted the young Gandhi to take a vow never to speak a lie in his entire life? 04-What was the justification given by King Bali to his Guru, for keeping up his word and giving charity to the young Brahmin (Vamana)? 05-In describing the virtues of Hanuman, what are the three titles Bhagawan uses to extol him?